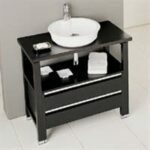 Expert advice on how to repair a kitchen or bathroom sink, with diagrams and instructions. 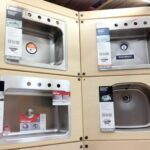 Other than faucet problems and pop-up stopper issues, which are discussed in Faucet & Tap Repairs and How to Fix a Pop-up Drain Stopper, most problems with sinks have to do with the drain. If you’re not sure where the clog is occurring, see How to Diagnose and Clear a Drain Clog. Following are the steps to take when trying to resolve drain problems. You’ll find more about each in the related articles. Every plumbing fixture in your home carries waste to the sewer or septic tank via a system of drainpipes. Also connected to this system are vents, which expel sewer gases out the roof. Each fixture has a “trap”—a U-shaped pipe (in the case of a toilet, part of the fixture itself)—that contains water in order to block sewer gases from entering your home. When a fixture is blocked, check all the other toilets, sinks, and tubs in the house to see if they’re also draining improperly. If only the one fixture is clogged, the stoppage is usually located in that fixture’s trap or branch drain. If other fixtures are backed up, the blockage is probably beyond where they join a branch line. Backups at lower points in the system—or throughout the entire system—usually mean that the main stack or sewer line is clogged. To remedy this situation, call in a plumber. It’s much easier, of course, to prevent a drain blockage in the first place. Scalding water can clear drains of grease. Install a strainer in kitchen and bathroom sinks to prevent hair and soap, small utensils, and other objects from slipping down the drain. Flat plunger on left is for sinks, showers, and tubs. The bell-shape on the right is for toilets. 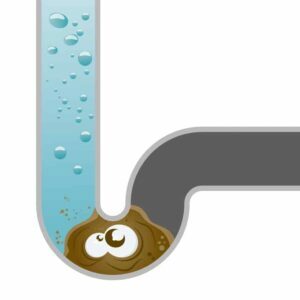 If a drain is simply moving slowly, you can use a chemical drain cleaner, but beware—the caustic nature of most drain cleaners can damage certain kinds of pipes and upset the delicate chemical balance of a septic system. And, if the drain becomes fully clogged, the caustic solution can back up into a fixture, making it hazardous to plunge the drain. Instead, take the following steps. 1Plunge the drain at the fixture. For a sink, tub, or shower, use a flat-bottom plunger. For a toilet, use a bell-shaped plunger. 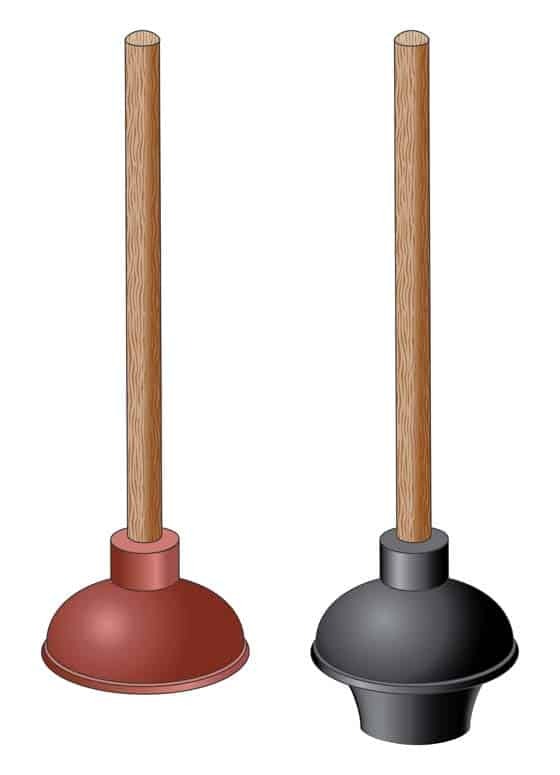 Note: Some bell-shaped plungers are designed so that the bell can be folded up inside the plunger, producing a flat bottom for sinks, tubs, and showers. 2Try to clear out a hair blockage with the help of a straightened coat hanger with a small hook at one end. To this, you will probably need to remove the pop-up. You’ll find that hair and debris often collect around this assembly. Pull out the pop-up stopper by wiggling the lever and easing out the stopper. Remove the pop-up stopper and clear out any hair or debris. 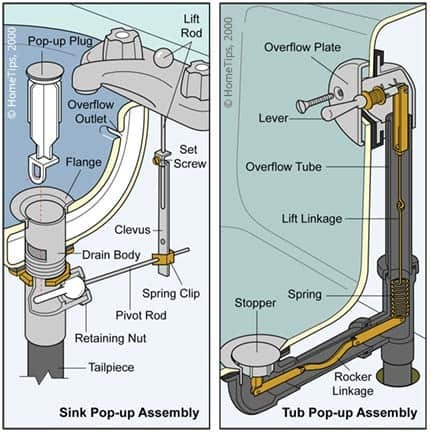 3Disassemble the drain’s trap and clean it out (see How to Repair a Sink Trap). 4Try to clear the blockage with a snake, working from the drainpipe in the wall where it connects to the trap. If you can’t get to the clog there, try snaking from a branch clean-out. 5If you’ve taken the steps above and the drain is still slow, consider the vent line. (For more about drain-waste-vent plumbing, see Drain-Waste-Vent Plumbing Systems.) 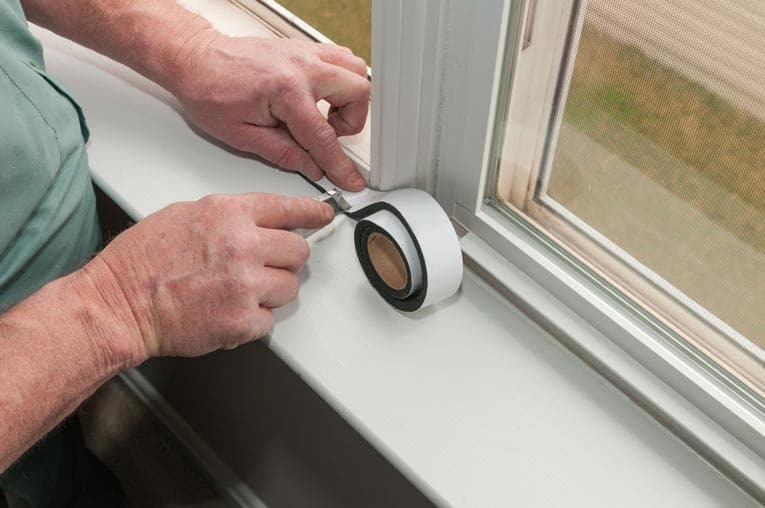 Be sure the fixture’s vent isn’t blocked with a bird’s nest or other debris. You can snake it out from the roof, but be careful not to drop the snake into the pipe! 6If you’re on a septic system, your tank and/or drain field may be overloaded. In this case, call a qualified plumber. Unless there is visible sewage from a backup, foul odors occur when sewer gases enter through drain and vent pipes. This happens most often in a seldom-used bathroom or basement area. Water in the trap evaporates, eliminating the barrier it provides. If refilling the fixture or pouring water into the drain doesn’t eliminate the odor (give the odor a chance to dissipate by opening doors and windows), the cause may be something else, such as a dead rodent. The worst-case scenario is that the sewer pipes are leaking—if this is happening under your house, it is creating a toxic mess that may include both bacteria and mold. If your home still has cast-iron drain pipes, they may have deteriorated over the years. Replacement with ABS plastic pipe is typically the answer.